The official renaming of Anfield's Centenary Stand to The Kenny Dalglish Stand marks the latest stage in the evolution of that section of the famous stadium. It was announced on Wednesday that the stand is to be named after the iconic Scot in recognition of his unique and outstanding contribution to the club across four decades, in the Reds’ 125th anniversary year. An official renaming ceremony will take place later this year, after the decision to honour Dalglish’s special status was taken by the club’s ownership and led by principal owner John W Henry. Liverpool moved into Anfield in 1892 as a result of founder John Houlding forming the club following a dispute with previous tenants Everton, who left the ground and therefore space for a new team. The side played their very first game at the stadium on September 1, 1892 – a 7-1 victory against Rotherham Town – in front of a modest crowd. As the club took promising steps in its fledgling years, a main stand was built that boasted dressing rooms for the players for the first time, while the Walton Breck Road end was extended and a stand was built on the opposite side on Anfield Road. Further significant development of the stadium began in 1906, the year the side lifted the championship for the second time, at the behest of the board. Visionary architect Archibald Leitch was hired by the club to overhaul the design of Anfield, including a terrace by Walton Breck Road that would soon be christened the Spion Kop, as the foundations of the modern ground were spectacularly laid. To the left of the Kop, a new grandstand was created in the years that followed and the structure previously in place was moved across the pitch to become the enclosure on Kemlyn Road for more than half a century. 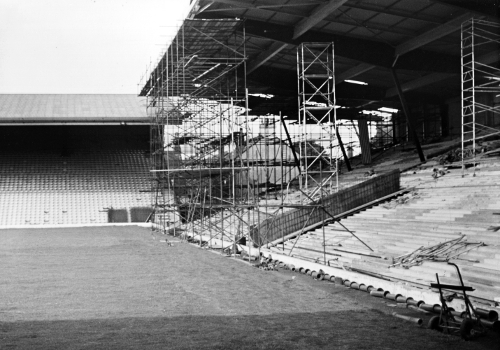 On his arrival as manager in December 1959, Bill Shankly was bewildered by the falling standards of Anfield and insisted upon improvements around the stadium on behalf of the fans, to match the progressive team he was setting about building on the pitch. Promotion back to the First Division was secured in 1961-62 and the club marked the long-awaited return to top-flight football by investing heavily on the Kemlyn Road side of the stadium. 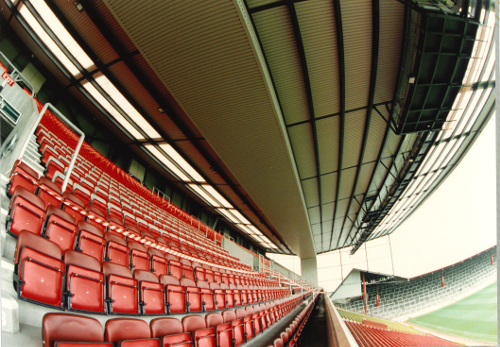 Hundreds of thousands of pounds were spent on constructing a cantilever stand capable of housing around 7,000 fans – a timely increase, given the success that would be achieved on the pitch by Shankly’s rejuvenated team in the seasons to come. Only subtle changes were made to the stand during the next three decades, including the installation of floodlights along its roofline, the introduction of coloured seats and the creation of a police room within the structure. 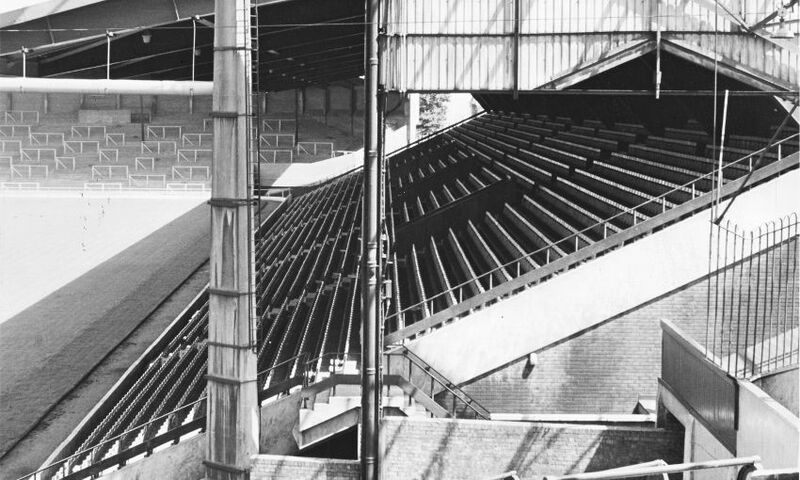 As football entered a new era at the beginning of the 1990s and the publication of the Taylor Report called for safety improvements at stadiums across the country, the Kemlyn Road Stand underwent a major overhaul. Having transformed the original structure, the renamed Centenary Stand was opened – featuring a second tier, cantilever roof, executive boxes and function rooms – in time for the 100th anniversary of the club’s first match at the ground in September 1992. Now able to hold more than 11,000 supporters, the refurbished and newly-named stand was opened by UEFA president Lennart Johansson and has remained largely as such for the past quarter of a century. The expansion of the Main Stand to incorporate around 8,500 additional seats was completed in autumn 2016, and Liverpool marked the re-opening of the stadium with a fitting 4-1 victory over reigning champions Leicester City. With its steel truss visible from across the city, the enormous scale of the development made the Main Stand comfortably the most populous area of the ground, ahead of the Kop and Centenary Stand, as overall capacity rose to 54,074. A year on, Anfield is set to evolve again as the Reds celebrate their 125th anniversary, this time through an historic renaming rather than a redevelopment. 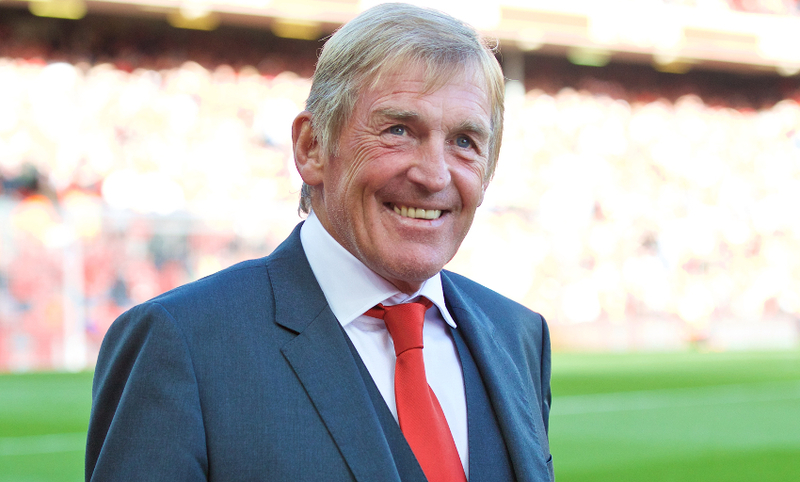 Dalglish, one of the most influential figures in LFC history as a player in 515 games and a manager across two different spells, and a man whose off-field contribution to the club and the city is immeasurable, will see his legacy honoured with The Kenny Dalglish Stand.